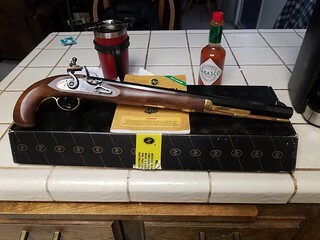 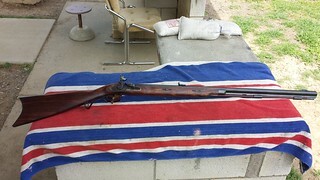 This is my Lyman 50 caliber flintlock Great Plains Rifle. 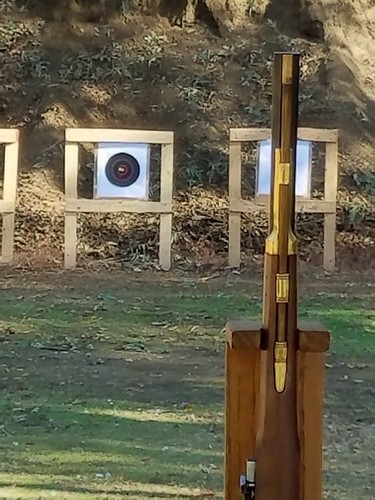 It's beefy, but not so cumbersome that it can't spend the day at the range with you. 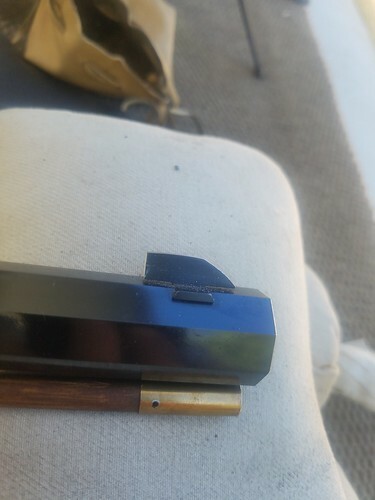 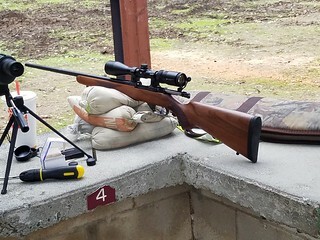 Put a 3x9 variable scope with a 40mm objective on the CZ supplied scope rings...mainly because the American comes without sights.... and bore sighted it with the bolt removed. 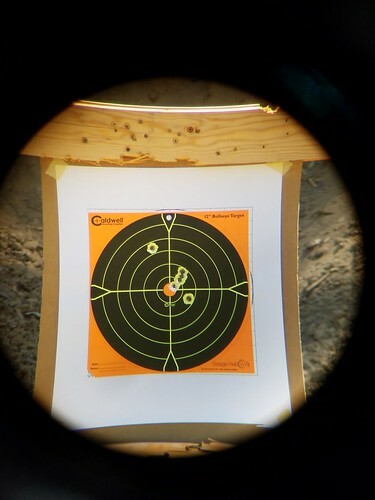 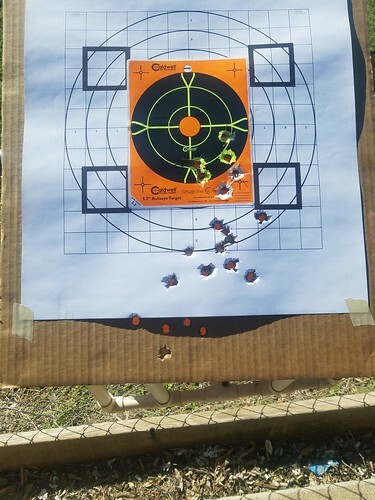 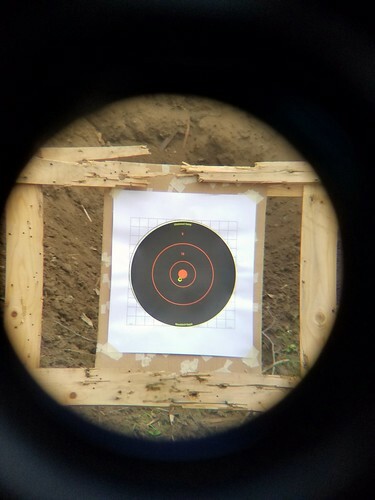 I put it on bags, looked through the barrel, lined it up on the target, then adjusted the scope to indicate at least close to the point of impact.